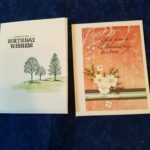 For parishioners and friends who have extended illnesses, are home bound or who have suffered the death of a loved one, we have a team who send greeting cards offering support and caring. If someone you know might benefit from receiving a card, please contact us for further information. An order for women who are communicants of the Episcopal Church, churches in communion with it, or churches in the historic episcopate but not in formal communion. The membership of the St. Andrew’s chapter currently includes women in the Anglican, Episcopal, Lutheran (ELCA) and Roman Catholic churches. Mission and Purpose of the Order is to serve as the extension of Christ’s Kingdom though prayer, service and evangelism. Daughters of the King is a ministry designed to inspire women through daily devotionals and various events that meet both the spiritual and relational needs of women. For many of us, this is a daily spiritual practice and a way of living out our vow of prayer as Daughters of the King. We may differ in our approach, the time of day, or the resources that we use; the intention of reading daily devotions and praying is the same – to bring us closer to God. 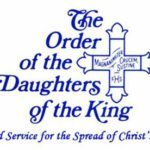 Why “Daughters of the King”? The term “daughter” expresses relationship. When one discovers that God loves us simply because of the relationship we have with God, then we can live free from the burden that performance-based love brings. A Daughter of the King is no particular age, race or ethnicity. She is every woman that has chosen to receive God’s unfailing love and seek every day to love God in return. Our history is as rich as our ministry. The Spirit of the Living God truly inspired our founding mothers and the clergy who supported them. Today, nearly 130 years later, God is still moving among us, drawing all “Daughters” to a closer, more personal relationship through dedication to prayer, service and evangelism. If this is something you are interested in, we would love to have you join us. Come see what we are all about. We meet on the 1st Tuesday of every month at 7:00 pm and end anywhere from 8:00/8:30 pm. The meeting is held in Havilland Hall of the church building, on the north side of the first floor. If you need child care, please let us know so that we can make arrangements. Please contact us if you have questions or need more information. During Holy Communion at the 9:00 am and 10:30 am Sunday services, members of the St. Andrew’s Prayer Team are available in the chapel for private prayer. It is a wonderful opportunity to kneel at the foot of the cross with thanksgiving asking God for peace, wisdom, understanding, mercy, and healing. God hears and miracles happen! If you want to pray with others and are excited about watching God do God’s thing in people’s lives, we need you. All it takes is a few minutes of your time. After receiving communion for yourself, the prayer partner goes into the chapel, lights the candles on the altar, and then waits and prays with members of the congregation. All intercessions are confidential and how God answers those intercessions is a powerful and an amazing thing to witness. The goal of this team is to have two people available in the chapel at all services (for those services held in the chapel, someone from the prayer team will be available after the service). No experience or training is needed. If you want to be inspired and see miracles happen, please contact us for further information or to be added to the schedule. It is just that simple. Come and watch God be God! As part of our caring community, members of St. Andrews help to provide home-made meals for people who are experiencing a birth, surgery, or illness. 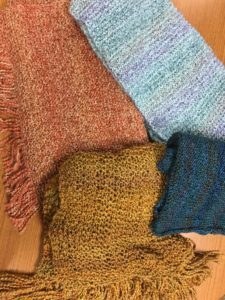 Whether they are called Prayer Shawls, Comfort Shawls, Peace Shawls, or Mantles, etc., the shawl maker begins with prayers and blessings for the recipient. The intentions are continued throughout the creation of the shawl. Upon completion, a final blessing is offered before the shawl is sent on its way. 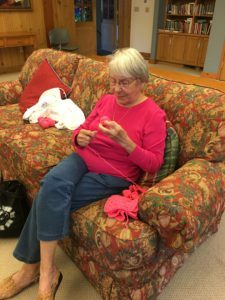 Some recipients have continued the kindness by making a shawl and passing it onto someone in need. In John 15:12, Jesus says, “This is my commandment, that you love one another as I have loved you.” Loving and caring for one another is not just the rector’s job – it’s something Jesus calls us all to do! Stephen Ministry is a ministry in which people with special gifts for caring ministry can put those gifts to use in an organized way, bringing Jesus’ love and care to those who most need it. If you – or someone you know – are going through a difficult time, Please contact us for further information about Stephen Ministry. Our Stephen Ministers are ready to provide you with focused, confidential, one-to-one Christian care and to help you experience the healing power of Christ’s love in your life.